We collect information in several ways through our Digital Properties. When you use our Digital Properties, we collect personal information about you that you affirmatively choose to provide to us. For instance, when you create an account, we will ask you for your first name, last name, email address, company affiliation, and password. Similarly, if you have made public posts from your other social media accounts that include our specialized hashtags (including, but not limited to, #ExtraordinaryALX and #LetsGetTogether), we may collect and use that information to help provide you with more relevant, personalized content about Alexandria, VA. You can control whether we see this information by not using our specialized hashtags. We may also collect information from you in-person or through the mail if you provide us with a business card or other document that includes your name, email address, phone number, and/or other personal information. You are not, however, required to accept other types of cookies that collect personal information in order to use our Digital Properties. When you access our home page, you will see an option to update your cookie preferences at the bottom of the page. We encourage you to personalize your experience by clicking on that option. This includes a choice as to whether you accept placement of cookies that collect personal information. You may withdraw this consent at any time by altering these settings. With your consent, we will use your e-mail address and/or other personal information to provide you with information we think you will be interested in, for example, to send you our newsletters. Even after you have agreed to receive such messages, you can let us know at any time if you would prefer not to receive any or all of this information either directly or through our Digital Properties, by following the unsubscribe instructions in any email you receive from us, or by sending an e-mail to Alexandria@vistalexva.com that contains the email address you wish us to unsubscribe from our lists. We may share your information with key business partners, marketing partners, and affiliates, who may perform functions on our behalf, who may have products and services we believe are of interest to you. We have contractual relationships with all such partners and affiliates that require them to safeguard your information and allow you to opt out of receiving further information from them. Their use of your data is also governed by their own privacy policies, which we encourage you to review. When reviewing your cookie preferences on our website, you will also see direct links to these key business partners so that you can easily view and modify your preferences with those organizations as well. In the event the Visit Alexandria conducts an online promotion, contest, or sweepstakes (collectively, a “Promotion”), information we collect will be used consistent with the terms and conditions outlined in the promotion guidelines or rules, which may include a reference to this Policy. 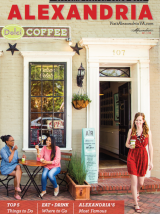 You can elect to provide permission for Visit Alexandria to use the email address and/or telephone number you provide when entering a Promotion for sending you marketing messages. However, you are only required to provide such permission in order to participate in a Promotion if it is necessary for the running of the promotion. For instance, if we request your email address or your social media handle because it is used to notify you if you’ve won and/or to send your prize, and you do not want to provide it, you will not be able to participate in the promotion. Information you provide us will be used to administer the promotion. If you have not opted in to receive further communications about upcoming promotions, your identifying data will be retained only for as long as it is necessary to administer the promotion and legally comply with our obligations. If you would like to revoke your consent to receiving commercial messages you have previously opted in to receive as the result of a promotion, you can use the unsubscribe link in any marketing message. Pursuant to your reasonable request, we will provide you with a list of all of your personal information that Visit Alexandria has collected. 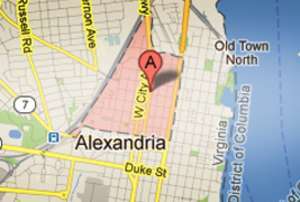 We will retain your personal information while you have an active relationship with Visit Alexandria, including if you have subscribed to a newsletter, or opted in to receive commercial content from us, have visited the site while logged in, have ordered a product, participated in a promotion, or have affirmatively made requests of us that we, or our data processors, are fulfilling. We will maintain your information and for twenty-four (24) months after that relationship ends (unless you request that we delete your information prior to the expiration of that period). If Visit Alexandria determines that it no longer requires your information for the purposes set forth above, it will delete your information. If you would like us to delete all of your personal information and/or remove your name and address from promotional lists (including any personal information gathered by our service providers) and place your name on our “do not contact” list, contact our Data Privacy Team at Alexandria@visitalexva.com and request that you be placed on our “do not contact” list. Please note that because names may be similar, you must include in your request all associated email addresses and phone numbers (if any) that you wish to be removed in the body of the email. We reserve the right to contact you for administrative purposes to request more information in order to assist us in deleting your content. We will make commercially reasonable efforts to delete your information within thirty (30) days from our active files, provided, however, that we may retain—for legal compliance purposes only—your request and associated email in a hashed format so that we do not inadvertently restore your information to our database. Please note that requests to update your personal information may take up to five (5) days. You may also request that we stop processing your information without deleting it, and we will comply within ten (10) days of receipt of such a request. Notwithstanding the above, Visit Alexandria will retain your information indefinitely if it believes in good faith that it has a legal obligation to do so. Consistent with the Children&apos;s Online Privacy Protection Act of 1998 and its revisions in 2013, our website is a general audience website, intended for adult use only. Visit Alexandria does not market to, and does not knowingly collect any personally identifiable information from, children under thirteen (13) years of age. Children between the ages of thirteen (13) and eighteen (18) must get permission from their parents before sending any personal information about themselves (such as their names, email addresses, and phone numbers) over the Internet, to us or to anyone else. If you are based in the EEA you may only use our Digital Properties if you are over the age at which you can provide consent to data processing under the laws of your country (the “Age of Consent”) or if verifiable parental consent for your use of our Digital Properties has been provided to us. If you’re under age thirteen (13) or the Age of Consent, please do not register for any of our Digital Properties or provide us with any personally identifying information (such as your name, email address or phone number). Please contact our customer service department if you are aware of any personal information supplied to the Site by a child under the age of thirteen (13) or under the Age of Consent so that in can be removed. In compliance with the US-EU Privacy Shield Principles and the Swiss-US Privacy Shield Principles, Visit Alexandria commits to resolve complaints about your privacy and our collection or use of your personal information (using the dispute resolution procedure set forth above). You have the right to access your personal data, and to have the data corrected, amended or deleted where it is inaccurate or processed in violation of the Privacy Shield Principles (as described in detail above). 1. To unsubscribe from our digital newsletters, please follow the instructions/link at the bottom of the newsletter. or e-mail Alfonso Wright at awright@visitalexva.com.